Sunny Blonde is a teenaged girl who'd always be up for a good makeover, and now her first adventure is getting a radical overhaul of its own, as dtp revealed at the GC in Leipzig that a special alternate version of So Blonde is in production for the Nintendo Wii and DS. The original PC version of So Blonde, which is still awaiting a widespread English release, features the spoiled, materialistic Sunny. Separated from her family during a storm aboard a luxury cruise, Sunny passes out and later finds herself washed ashore on a tropical island, all alone and without her cherished belongings. What's worse, she's somehow been transported several centuries back in time to an age ruled by pirates. The Nintendo version will be neither a full-fledged sequel nor a straight port of the PC original, as it's based on the same premise but offers an alternate storyline. According to So Blonde's writer, Steve Ince, the new game poses a "what if..." scenario based on Sunny landing on the other side of the island and befriending the shady "One-Eye". While many elements will be common to both games, some characters and locations from the original will be missing from the Nintendo version and others introduced as the storyline moves in different directions. According to Ince, one of the new characters, Nathaniel, is even playable at times, and to accommodate the change in perspective between games, "the story and dialogue have been re-written and the gameplay re-designed." It's a creative approach to the issue of cross-platform releases, avoiding the redundancy of straight ports in favour of a standalone experience while still utilizing resources of the original. The Wii and DS versions will have differences of their own, but only technological ones according to system capabilities, as both follow the newly re-imagined storyline. While no official release date has been announced, an early estimate has targeted the middle of 2009 for completion. Hopefully by then its PC predecessor will have managed its long-awaited English market release. 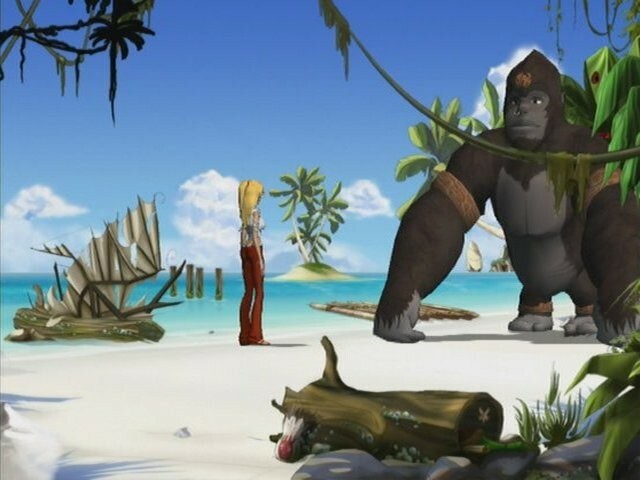 In this spin-off from So Blonde, Morgane Castillo chases the trail left by ‘famous adventurer’ Buckleberry Tanner to find the clues that will lead to the hidden treasure of Turtle Island. 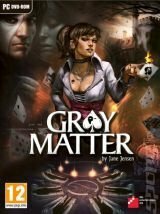 An adventure game by Jane Jensen, creator of Gabriel Knight.